I realized how much of a Debbie Downer I’ve been so far this year here on my blog – my kids are sick, we don’t have any money, blah, blah, blah! I could continue with this trend and tell you how awful this weekend was, how I felt like I was going to die on Friday due to a bad case of food poisoning, but I’m just going to leave it at that. I’m not sure if mind is clearer because I’ve basically fasted the past few days or what, but something just clicked. I need to snap out of it. I need to stop losing myself in a pint of ice cream, and get up and exercise instead! So my goal is to lose 40 lbs by the end of July. Why July, you ask? BlogHer! I’ve already got my ticket so there’s no turning back. The theme this year is “In Real Life” and I’m hoping to meet hundreds of blogging women that I admire, as well as many of the wonderful PR people I’ve worked with – in real life. That means that I won’t be able to hide behind the anonymity of my blog posts any longer. It’s the first impression that counts, and I want it to be a good one! I want to be HOT by BlogHer. Or pretty close to it! Christina from A Mommy Story created Hot by BlogHer to help us do just that! Each week we’ll have a different challenge – fitness, diet, or personal – to tackle. And you’ll hear all about it right here. I’m certain I’ve already lost a few pounds this weekend, so I’m off to a good start! And I haven’t had coffee since Friday so I think I’ll just drop caffeine altogether. It’s the first 3 days that are the hardest, right? Good for you; that’s an impressive attitude. The most important part is the motivation, and it sounds like you have it! Plus, a plan and a goal help a lot. I’m so sorry to hear you had food poisoning though – that’s miserable. I hope you’re feeling better. What a great motivator…a conference where you have to meet other bloggers in person, LOL! This time of year can be so draining and it’s hard to get out and exercise when somebody is always sick. I’m on the journey too and hope that small choices every day will add up to big weight loss. 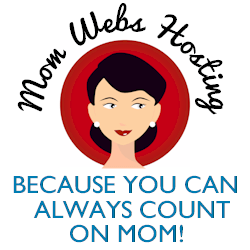 Maryas last blog post..Kidzui: Safe Web Surfing for Your Kids! You are going to be amazing by the time BlogHer rolls around! 🙂 Of course, you started out pretty well, so amazing isn’t too far away. When I read the words “Debbie Downer” I thought of the “woh wohhhh” horn sound they make when the camera closes up on her. Haha! Anyway, awesome! I will be at BlogHer too! I can’t wait!